Welcome to the Amaroo Motel, a short stroll from the heart of Busselton's city centre. Your hosts are Noelene and Ken Bonser, who invite you to relax and enjoy the comfortable surroundings they have to offer. We endeavour to make your holiday memorable, by taking that little extra step to make your stay a "home away from home" experience. A short walk will take you into the centre of Busselton, where you will find a blend of attractions from relaxed alfresco dining, to unique beachside activities. You will find a touch of history, art and crafts, restaurants and aquatic activities on the beachfront. 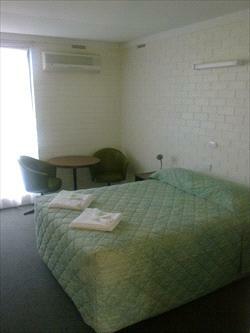 The Amaroo offers well appointed rooms, all equipped with airconditioning. Each apartment is serviced daily. In the afternoon, why not step outside onto the well maintained garden area and enjoy a glass of wine, while you cook up a feast on the brand new outdoor barbecue? Noelene and Ken invite you to experience what hospitality is all about. Contact Noelene today, and enquire about a reservation for your next "home away from home" holiday experience in Busselton. Double bed only, bar fridge, flat screen TV, an ensuite, reverse cycle air-conditioning, hairdryer, toaster, kettle and tea & coffee making facilities. Rooms are along the hwy and can attract some traffic noise. Please be aware this room has 1 x double only and does not have a single as well. This room has a double bed and a single bed. The room has an ensuite. All rooms have linen and towels, large flat screen TV, Kettle, toaster and bar fridge with tea and coffee facilites. There is a reverse cycle airconditioner in all rooms. A light continental breakfast is available at an extra cost. 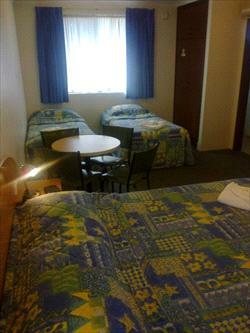 This room is along the front of the motel near Bussell Highway and can attract some traffic noise. 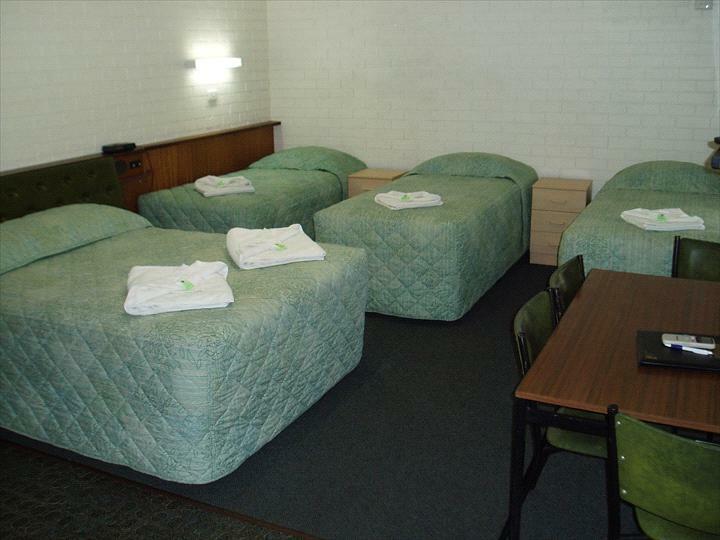 This room has a double bed and 3x single beds which are all in the same sleeping area. Room contains a flat screen TV, ensuite, reverse cycle air-conditioning, toaster, kettle and tea & coffee making facilities. 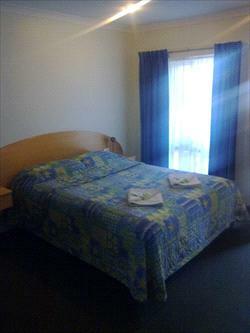 One queen and two single beds, this is a one bed room unit, upstairs and is away from the hwy in a quiet location. Room includes bar fridge, flat screen TV, ensuite, reverse cycle air-conditioning, hairdryer, toaster, kettle and tea & coffee making facilities. Queen bed only, bar fridge, flat screen TV, ensuite, reverse cycle air-conditioning, hairdryer, toaster, kettle and tea & coffee making facilities. Rooms are newly furnished and at back of property away from hwy. Please be aware this room has a queen bed only and does not have a single bed as well. Light continental breakfast is available at an extra cost. Cancellation of booking is non- refundable and non- transferable after 7 days prior to arrival.